It was the evening of April Fools day. I unlocked the door to my home in the evening after a non-eventful but draining day at the office to find the neatly wrapped “surprise” package from New York. Picking up the package, the my first thought was…if this is a book purchased in a restaurant, it must be a cookbook, but how light…perhaps it is just a few recipe cards of the most well-known dishes. My friend Rene is a bon vivant, a real gourmand and an excellent cook. The memory of dining at eachothers’ apartments way back in ’92, when we were both masters students in New York, playing cards late into the evening, conversing about food and Ayn Rand books, is still very fresh in my mind. Rene has since then mastered his cooking skills. I on the other hand, as much as I enjoy good food accompanied with an enriching conversation, no longer devote the hours necessary to prepare appetizing and distinctive dishes. 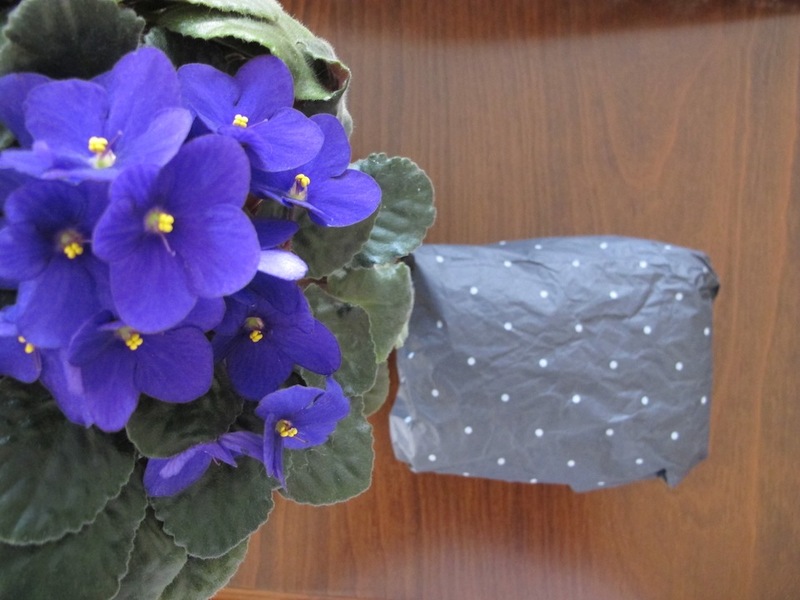 The delight of opening the package was of course an experience beyond words. 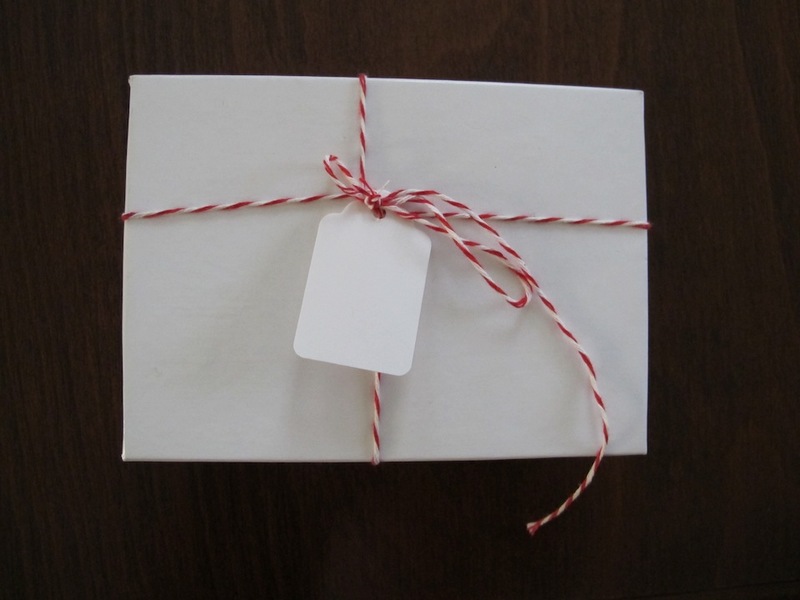 The carefully wrapped package in brown paper first revealed the generic US post box, then thin dark gray wrapping paper with polka dots, which then exposed an elegant white box tied with a delicate red and white yarn. As opening each layer brought me closer and closer to the finale, my excitement paralleled that of a child’s in a candy store and judging by the weight, the thought that was running through my mind was, this little bundle really cannot be a book. 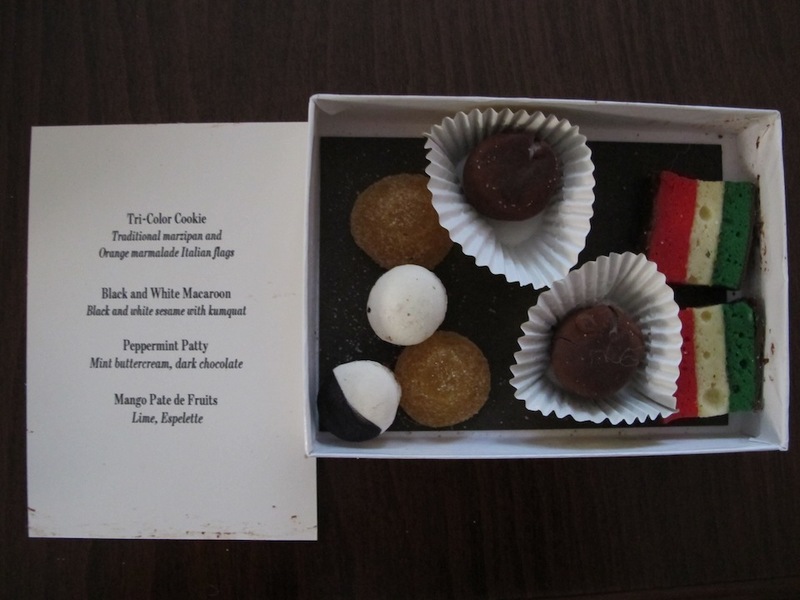 Lo and behold it was not a book but a sweet delivery of the most delicious and colour coordinated petit fours from Torrisi’s in New York. 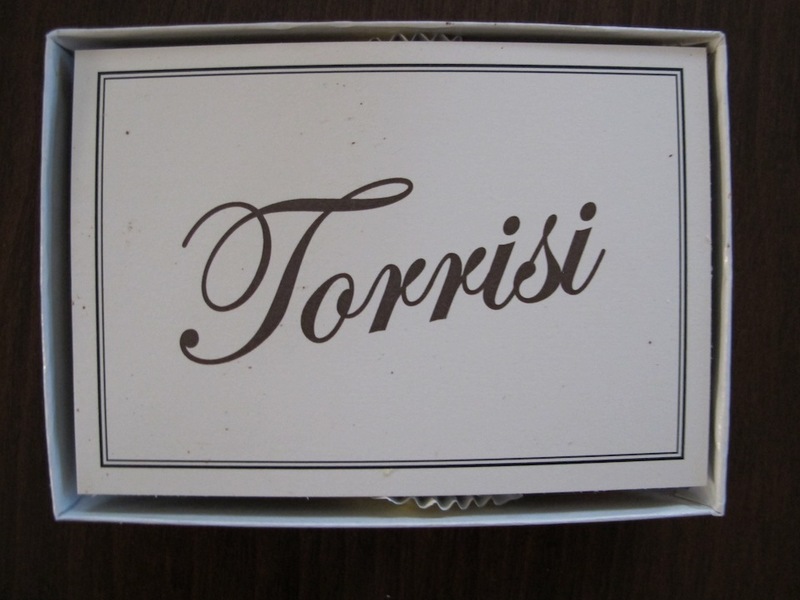 I had tears in my eyes when I reversed the Torrisi card to acquaint myself with the details of the contents. 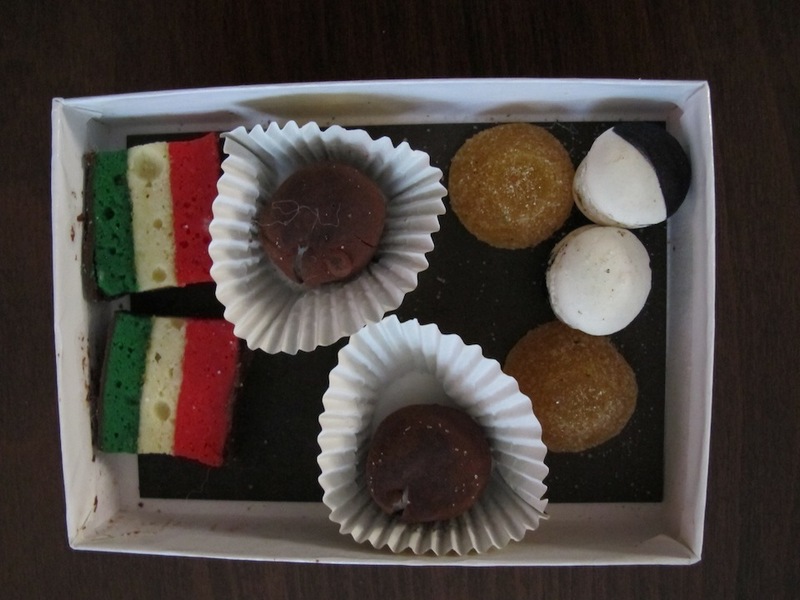 I knew immediately why these petit fours were sent to my doorstep…only a very dear friend would make a conscious effort to share the joy of his latest find from a distance of 5,000 miles. As Henry David Thoreau is quoted as saying. “The language of friendship is not words but meanings”. 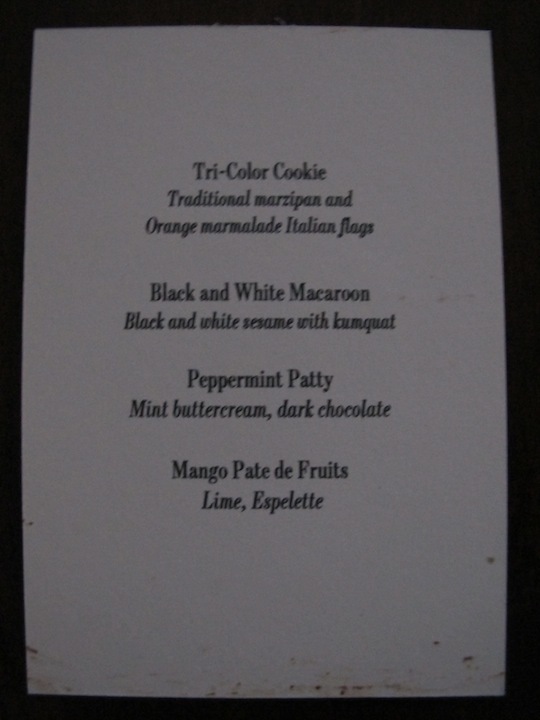 I myself have not had the opportunity to dine at Torrisi’s yet, however I can attest that the petit fours are simply divine, especially the peppermint patties. 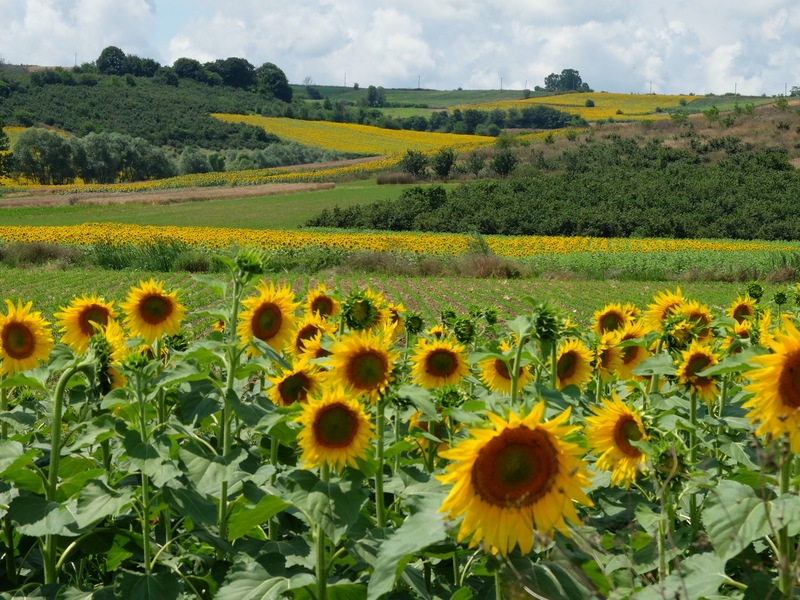 We walk alone in this sometimes serene, sometimes dark world and it is always loving family and prized friends who help create dreams and fables with happy endings. They say friends come our way unsought where reverence plays a great part. I am glad our paths crossed at some point Rene, may we enjoy many more delicate and magical moments together. April 6, 2014 April 7, 2014 aylinalpustunfriend Rene, friendship, New York, pepperment patties, petit fours, restaurants, Torrisi, U.S.